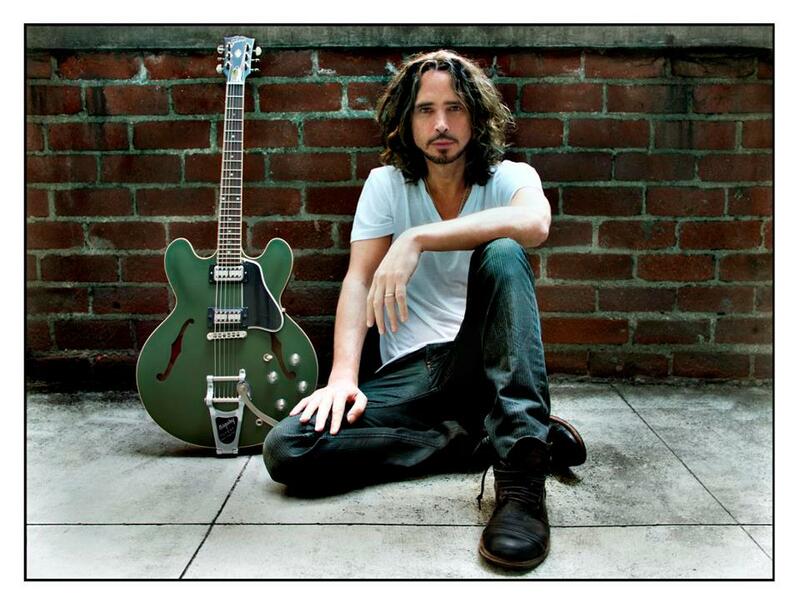 Gibson has announced plans to release a limited-edition Chris Cornell tribute guitar this spring. The music gear manufacturer partnered with the Soundgarden rocker to work on his original ES-335 Artist Model in 2013, and it was immediately clear that he had an innovative eye for guitar design. Features like the aged Lollartron humbucking pickups, clear "no number" Top Hat knobs, Olive Drab Satin finish, and Mother-of-Pearl Chris Cornell "signature" peghead inlay make this guitar one of Gibson's most distinct artist offerings to date. "Chris Cornell was not only one of the most iconic singer songwriters of all time, he was a modern innovator who left a legacy that transcends music genres and generations," says Gibson’s Cesar Gueikian. "It is our honor to release this tribute ES-335 in his memory. It's a guitar Chris fell in love with and which became a part of his creative expression. “Chris was a special artist and we hope that this guitar will inspire fans to find their sound, and inspiration, just like Chris did, for many years to come." The Chris Cornell Tribute ES-335 will be available this spring in a limited release of only 250 pieces worldwide. Gibson announced the Cornell model in sync with this week’s star-studded concert, "I Am The Highway: A Tribute To Chris Cornell", at The Forum in Los Angeles. Cornell took his own life in a Detroit hotel room in the early hours of May 18, 2017 following a Soundgarden show in the city. The rocker co-founded the Seattle band with lead guitarist Kim Thayil and bassist Hiro Yamamoto in 1984; bassist Ben Shepherd and drummer Matt Cameron went on to round out the band’s longtime lineup.